Neil Brian Goldberg—singer, musician, and composer—has a gift that draws upon his creative songwriting genius through his guitar. "The words, the feeling, and the heart of the melody already exist. My job is to surrender and then to translate, as purely as I can," he muses. "It fills my heart, and I ride it like a light ray through my guitar." Neil has been a brilliant behind-the-scenes star whose career in the music business began in his hometown, Philadelphia, during the 1950s and ‘60s, as the lead singer of a neighborhood band he started with friends. They soon gained notoriety and eventually became part of Tony Grant’s “Stars of Tomorrow,” performing five or six times a week at the famed Steel Pier in Atlantic City, New Jersey. After the band broke up, Neil ventured out on his own, eventually becoming a Cameo-Parkway recording artist back in Philadelphia, going by the name “Neil Brian,” because at that time, his producer felt Jewish surnames were a liability in pop music. Later, when he moved to New York to work, he reattached his last name. Several times in his career, Neil came very close to becoming a nationally recognized star, but instead his life took a different path. He left his own unique mark on the world of music with his songwriting. Not only have nearly one hundred of his compositions been recorded and played on radio or television and nineteen tunes been registered on national or local pop music surveys, but he was also the catalyst that changed children’s TV with the messages in his songs. 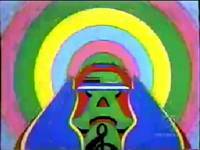 About the time Jeff Barry left, the format for The Archie Show changed to Archie’s Funhouse, which included a segment with the “Giant Jukebox,” for which Neil was to write songs. A Filmation producer told Neil that he wanted him to “dumb down” the music to the level of a seven year old. Neil had different feelings, and after consulting with Jeff Barry, came to the conclusion that he should follow his heart and write songs that would uplift and educate kids about important issues of the day. 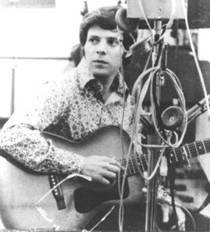 In a time-frame of two weeks, Neil wrote 32 songs for the show, which were produced in a studio called Sound Ideas that he and his friend Gil Slavin liked to use for recording. Jeff Barry’s session musicians, Hugh McCracken, Ron Frangipane, Joey Macho, and others, worked with Neil in recording the music. "These guys were cutting hits all over town," Neil says. "It was as if they knew each song before I even played it for them! We did what were called 'head arrangements' right on the spot, with just my simple chord charts to read from." He appreciated their professional attitude. "There was never a remark that it was 'just Bubblegum music.' They played with all they had. They put their energy and strength into those tracks, and there was no problem." In other words, they approached playing the music just the way Neil did—for the love of it! Neil supervised all aspects of the recordings, and he allowed Ron to be creative in the type of vocal sound he wanted. Together they had lots of fun coming up with on-the-spot vocal arrangements and harmonies. Since Toni Wine, Donna Marie, and Bobby Bloom—who had previously sung on The Archies songs with Ron Dante and Jeff Barry—were busy with other work, Neil sang the background harmonies and falsetto with Ron on the song "Little By Little" and on many of the other songs, essentially making The Archies into a two-man group for Archie’s Funhouse. As it turned out, they completed recording the songs just in time, because Filmation Studios began demanding the finished product be done ahead of schedule. "No one had any idea," Neil recalls, "what was about to happen to children's TV, and to the next generation of kids!" To Neil’s astonishment, the Filmation animators in Hollywood were “inspired by his songs and became his willing collaborators.” “They crafted a series of groundbreaking cartoon sequences that were psychedelic in appearance and socially-conscious in attitude.” "It seems that when the tracks were rushed out west, a bunch of ‘freaks’ were doing the animations," declares Neil. "They decided to take part in the coup which I had begun!" 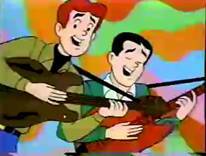 Because the messages of Neil’s songs were thought-provoking and timely, there were probably very few kids who acted like senseless robots while watching Archie's Funhouse, during 1970-71 season. Ron Dante's lead vocals were sensational, and the cartoon images for message songs like "One Big Family," "Love Went 'Round The World," "The Lonely Cricket," and "The Ballad Of 51st Street Park" were enchanting. Nothing like this had ever been seen on children's television before! The most compelling segment was, without a doubt, Neil's plea to clean up the environment in "Mister Factory." While Ron Dante sang Mister Factory / Don't you care? / Soon the children won't have / Any air, over a light country/rock accompaniment, an image showing young children in gas masks appeared on the screen. This must have unsettled Filmation executives, but because of their tight production schedule, they gave okay to go ahead with it. As a result, “Mister Factory” became one of the most frequently aired sequences during the third season. "Of the Archies songs that I wrote, the most important song was 'Mister Factory,'" Neil says. "It was the most played, and had a great impact on kids to try to preserve the environment. Also, ‘One Big Family’ was a good and important song." Today, Neil is understandably proud of the cartoon revolution he began, but at the time, he was afraid that his musician friends wouldn't understand. "I hardly told anyone about The Archies, 'cause I was embarrassed that they were only Bubblegum / ‘kiddie’ songs," he admits, "but now I realize what a major event each of those shows was." Because of what Neil started, cartoon shows like "The Bugaloos" and "Fat Albert and The Cosby Kids" popped up containing message songs. Unfortunately, the only place people could hear most of these remarkable songs was on TV, and very few of them were ever commercially released. Only four of Neil's compositions were ever included in an Archies album: "Mister Factory," "One Big Family," “Come the Sun,” and “Dance.” Neil still hopes that someday all of his ground-breaking children's songs will be available for people to enjoy once again—as do the millions of former Archies fans who still remember them. Fortunately, most of Neil’s songs can now be seen on YouTube. To view these, see his Archies page. Some other top recording artists that Neil also wrote songs for were Robin McNamara ("Got To Believe In Love'), Bobby Sherman ("I Don't Believe In Magic"), Tom Jones ("It's Up To the Woman"), Dusty Springfield (“Have a Good Life, Baby,” “Love Shine Down,” “All the King’s Horses,” and "Natchez Trace"), plus many others. Soon, Neil’s life took him down another path. After being introduced by a mutual friend, Neil met and eventually married Jan Thomas. They moved to California, where they have written and produced several songs together and live a simple life. Neil’s newer efforts—“Remember America,” "Freedom Bird Fly," “Born in America,” “Almost Born,” “Trouble Go Way,” “I’m Joe,” "Love Storm," "Brother Man," "The Last Princess," and more—contain inspiring messages like those found in his Archies compositions. He feels very strongly about these newer songs. However, his Archies compositions will always hold a special place in his heart, because they were created with children in mind. However, his favorite thing to do, since his early performing days in the 1950’s, is making personal appearances for live audiences, especially for the appreciative audiences at the assisted living center where his mother lives in Philadelphia. After making the trip back to his hometown, Neil states, "The old folks perked up and glowed with joy! I consider those performances among my most important, and most successful." 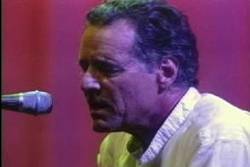 Like Jeff Barry, his mentor and friend, Neil has always had the desire to write and sing songs for children. He enjoys entertaining local children's groups with live versions of his original Archie songs, like "One Big Family," "The Big Boat," "Mister Factory" and "The Lonely Cricket." He enthusiastically exclaims, "The kids loved it! I had them dancing, singing along (especially on ‘The Laughing Song’), and playing little percussion instruments." Even though performing for crowds of screaming teenyboppers at Steel Pier in New Jersey or playing for thousands of rock fans at a peace rally in the 1960’s was exhilarating then, he now gets the most satisfaction playing for the very young and the very old. 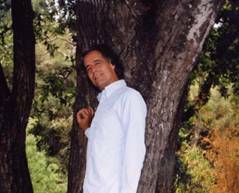 In 1998, after guest-hosting radio programs in California, a friend, who owned a radio station in Santa Cruz, arranged for Neil to have his own program called “In the Spirit.” The idea for the program, which evolved over a period of years, was a mixture of spiritual and uplifting messages overlaid with music. The show ran once-a-week through the following year. “It was quite eclectic, a program that was”—he stresses—“spiritual but not religious in nature. I opened with a recording of a high Native American chant. 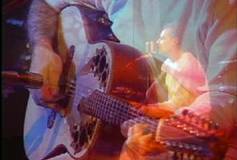 Then, I came in with some cosmic rap, some live songs, and then I would play ethereal New Age music." He'd give on-air readings of ancient inspirational texts, deliver what he calls "affirmations and visualizations" meant to spread goodwill, and would take telephone calls from his listeners. He immensely enjoyed doing the program, and is anxious to bring "In the Spirit" back on the air soon. "I would like to do it nationally," he states. "I am willing to take steps if any opportunity comes, but a way will have to be made if it is to be." Picture the White House, the Capitol buildings, all the Senators . . . Lord, we hold this up to you . . . and we ask you to bless our nation, bless our Capitol . . . let the Good prevail . . . we ask for Divine Power to come and take hold of this nation . . . confound our enemies, send away the evil that tries to come here. "Then," he remembers, "I visualized the divine power of protection and light covering the Capitol." Fond memories of producing his radio show came rushing back, but he still couldn't shake that uneasy feeling which had awakened him. “Later that morning, I heard about the attacks on New York and the Pentagon, and I was confused. Why was I hearing that prayer at 2:30 in the morning, and still we were attacked?" Believing that the power of prayer can work miracles, Neil felt this belief strengthened as he continued to monitor news reports. "I heard about the planes which did not make it to the Capitol." He couldn’t help but wonder if his prayer, combined with so many others who felt the same uneasiness that night, may have helped to spare lives, through divine intervention. As in his Archies songs, Neil’s more recent works still use lyrics to make meaningful and uplifting statements. "The Last Princess," which he considers one of the best of his latest works, is a punk rocker-like song that is a critique of the media, as well as a tribute to the late Princess Diana. "Now is the Time," Neil’s all-time favorite work—originally sung by Benny Troy in 1968—has been re-recorded with Neil singing the vocals. "Love Storm," which sounds like a heartfelt prayer set to music, was co-written with his wife Jan, and conveys a spirit of power and warmth. 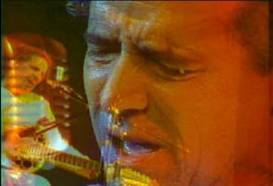 Neil wanted the song to represent “a musical visualization of the kind of peaceful and harmonious world” he would want to live in. He feels “Both 'Now Is The Time' and 'Love Storm' were given to me from higher realms.” “Love Storm” was recorded by Ritchie Havens, and still plays on college stations and on KPIG in Neil’s home of Santa Cruz. If Neil is successful in getting his radio show “In the Spirit” back on the air, he wants “Love Storm” to be the new main theme. Little did Neil Brian Goldberg realize that when he starting down the rock 'n' roll road back in the 1950s in Philadelphia that the path would lead him to an unlikely spiritual journey to faith. This path followed unexpected twists and turns along the way, but finally led him to a deeper understanding of life—balancing spiritual and secular—which is reflected in his current thinking learned from the wisdom he gathered along the way. "I had the mistaken idea that to be 'spiritual,' one had to 'renounce the world,' but I did not have a cave in India. Rent and food still had to be paid for. God led me to the path of right livelihood and selfless service. I'm right back where I started, but with less ego!"